CIOs who took the stage at the CIO 100 at the Terranea Resort last week detailed how they are using technology to better serve their employees and customers. RANCHOS PALOS VERDES -- Evidence that IT has turned into a customer-driven enterprise abounds, as changing customer preferences continue to blur the line between the physical and digital worlds. What customers do in your retail stores they also want to do from their mobile phones. That means that the CIO role has moved from the back-office to the front-office. 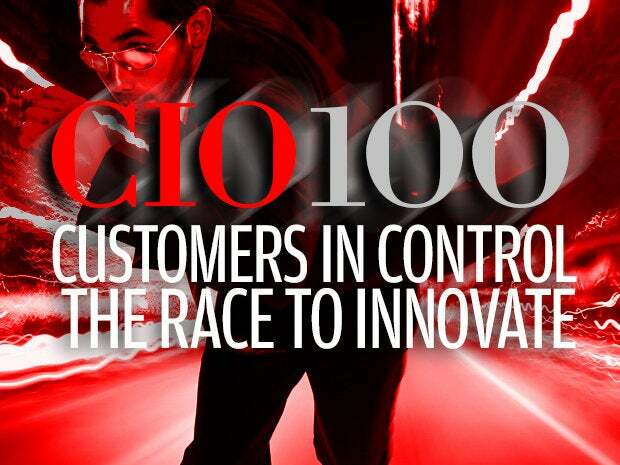 This year's CIO 100 theme, "Customers in control: The race to innovate," acknowledged the shift. Customers are demanding to not only access digital information and services from mobile devices, but to increasingly conduct transactions while on the go. Businesses must understand how to interact with their customers on several new fronts. 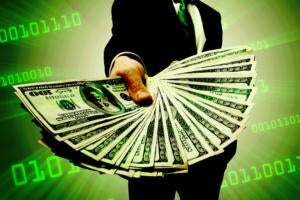 CIO must also have the wherewithal to analyze the massive amounts of data generated by these transactions, ideally to harness customer insights that can enable the business to better individually target products and services. 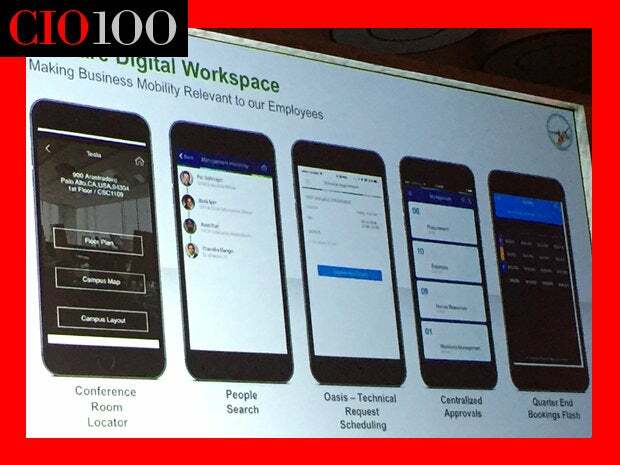 CIOs who participated at the CIO 100 at the Terranea Resort demonstrated how they are using anything from mobile and cloud software to analytics and the Internet of Things to serve their employees and customers. 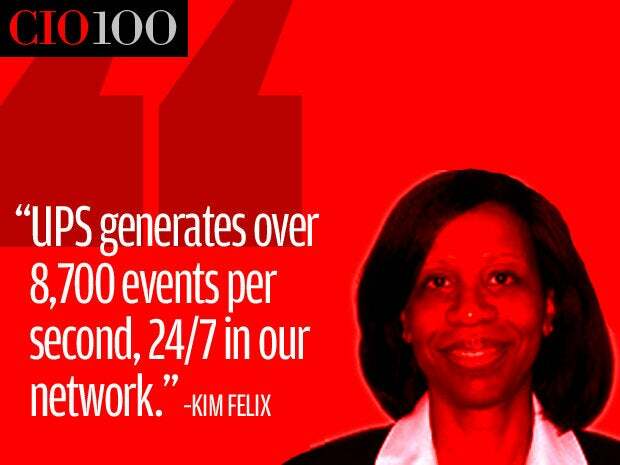 To coordinate package shipment logistics spanning 1,800 operating facilities in 220 countries, UPS built a business intelligence tool that presents a complete picture of UPS' network, says Kim Felix, vice president of information technology. This Near Real-Time Service Performance Reporting tool (NRT) correlates structured and unstructured data from several IT systems, holding more than 100 terabytes of data at any given time. Felix says UPS generates over "8,700 events per second, 24-by-7 in our network" including pick-ups, sorting, transfers and deliveries being moved by truck, train or airplane. 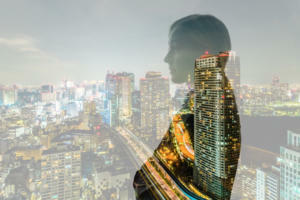 Iyer built a mobile application that allows VMware managers to quickly view and approve employee travel, expense and other requests generated in several applications, such as Coupa, Concur and BrassRing. 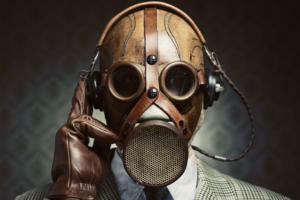 Other corporate apps include a conference room locator, people search (a sort of LinkedIn for VMware), technical requests approvals, and a quarterly sales bookings tool. 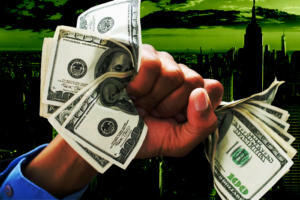 VMware expects to sell these apps to other enterprises. 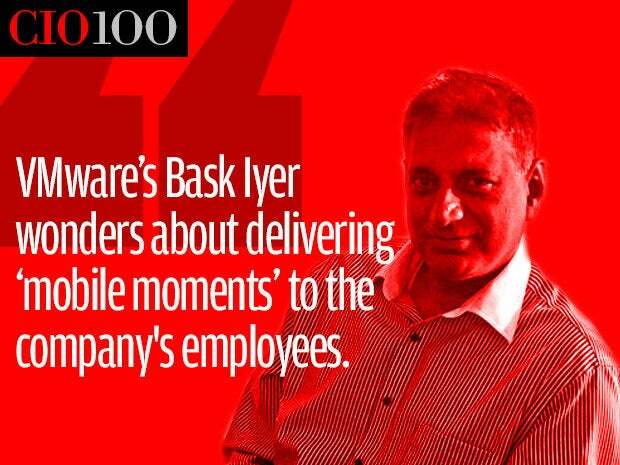 Sometimes when VMware CIO Bask Iyer fears he is going to be late to a meeting he checks Waze from his mobile phone. This enables him to text or call the participants to say how late he expects to be. "It's a time saver," Iyer says. "What are you going to do while stuck on the highway?" Iyer says. What if, he wonders, he could deliver "mobile moments" to the company's employees. Leveraging predictive analytics, NRT helps UPS anticipate weather or other conditions that may require alternate plans to meet service commitments and maintain an on-time network. UPS ships more than four billion packages worldwide each year using this real-time status monitoring platform. NutriSavings CIO Niraj Jetly discusses a mobile application that helps people pick healthier eating choices. "On a daily basis, we make between five to seven food choices for us and our families," Jetly says. 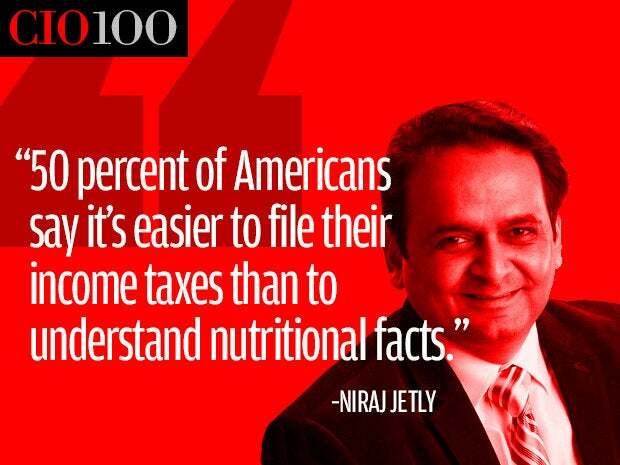 He says 50 percent of Americans say it's easier to file their income taxes than to understand nutritional facts. To address this problem for consumers, NutriSavings hired a panel of dieticians to work with its software engineers to create a nutritional scoring system. The NutriSavings scoring system forms the basis of Digital Dietician, which helps calculate the nutritional value of thousands of food items consumers purchase from over 16,000 grocery stores nationwide. In the first 12 months since the app was launched, NutriSavings saw a 60 percent boost in consumption of fresh fruits and vegetables. "We have to move our society from food as a cause of chronic conditions to food as a treatment by educating consumers in terms of how to identify healthy food," Jetly says. Under CIO Robert Urwiler, Vail Resorts has leveraged RFID tags to check lift tickets. 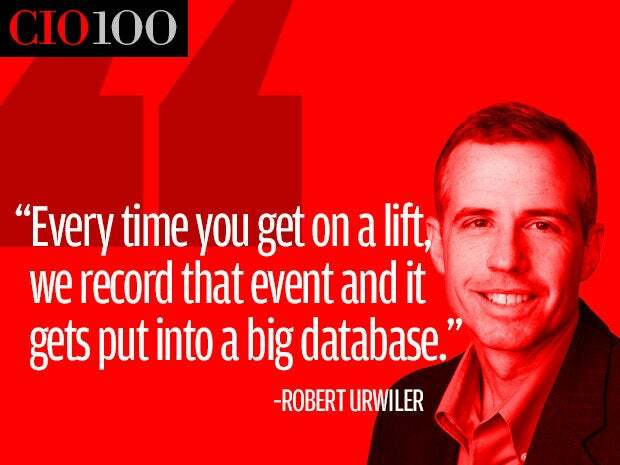 "Every time you get on a lift, we record that event and it gets put into a big database," Urwiler says. Urwiler has since augmented the consumer experience with a mobile app that, harnessing data collected from the RFID readers, track skiers’ progress and calculate each person’s run speeds, number of lift rides, vertical feet skied, and number of ski days. Consistent with the "customer experience" theme of the event, Vail is now analyzing this data to better tailor ski packages and other offers to each EpicMix user, Urwiler says. "I can custom tailor a marketing experience just for you and it's all driven by technology." Digital consumer services require a philosophy such as those implemented at Vail. Urwiler has codified one in the IT Value Hierarchy. Starting with basic IT infrastructure, CIOs also require security and stability, information integration, competitive differentiation and transformation to achieve the innovation they seek. "I think when those things are in place ... that's the thing that we're trying to achieve as the baseline so that we can become credible with our collaboration partners in the business," Urwiler says. 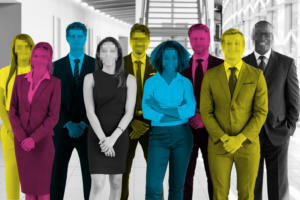 "Now we're talking about the seat at the table, where you're absolutely taken quite seriously as someone who has a reputation for operational excellence and is coming in with creative ideas who can participate in the ideation process." Perennially compressed healthcare margins are accelerating because of the impact rising healthcare costs have nationwide, says CVS CIO Stephen Gold. That's forcing pharmacy retailers to improve customer service, tailoring it around value-based over fee-based care. 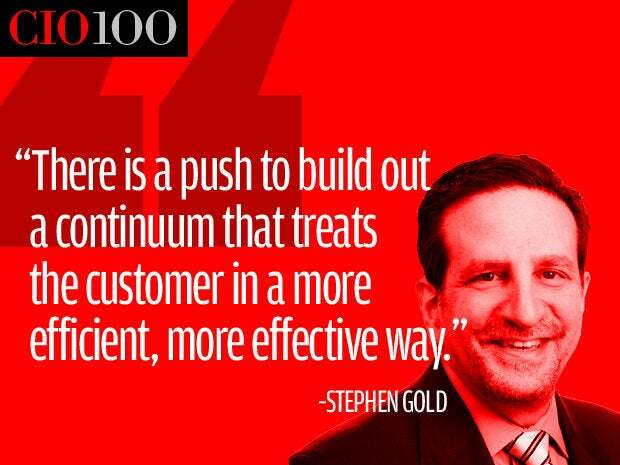 "There is a push to build out a continuum that treats the customer in a more efficient, more effective way, Gold says. "Our job is to make sure that we're empowering customers ... and the best way we can empower them is to provide them the digital tools that allows them to take advantage of all of our products and services anytime, anywhere that they need them," he says. One new example of those new tools is CVS Pay, which enables you to purchase your prescriptions with the CVS Pharmacy mobile application. This may not impress long-time users of Starbucks mobile app, but consider this value proposition: Rather than state your name and date of birth at the pharmacy counter, you can allow retail store employees to scan a barcode or input a one-time code that surfaces on your phone app. This preserves consumers' privacy, Gold says. Since CVS rolled out the service this month, consumers have logged more than one million transactions through the app. "It saves us time, saves our customers privacy concerns and solves real problems," Gold says.